According to the Canadian Life and Health Insurance Association there were 102 active life insurance companies operating in Canada in 2009. That's a lot of life insurance companies to choose from when, as a Canadian life insurance shopper, you are looking to buy a life insurance policy. Below is a list of Canadian Life Insurance companies. Please contact us with any questions! You can also leave us a comment below. ACA Assurance, also known as the Association Canado-Américaine, is the only Franco-American fraternal benefit society of its kind. It offers a variety of insurance products to its members. Members of ACA Assurance usually live in North America, and are mostly concentrated in New Brunswick, Ontario, New England, Québec, and Louisiana. Allianz's life insurance products are designed to offer flexibility and control, and provide consumers with the knowledge that consumers' family will be protected after insurees are gone. Assumption Life has indisputably become one of Atlantic Canada's major insurance and financial investment companies, with more than 75,000 policies in force. It was ranked 33rd out of Atlantic Canada's top 101 companies. Bingham Group Services Corp. ("BGS") is Canada's leading Third Party Administrator ("TPA") and Managing General Agent ("MGA") in the business of creating, marketing and administering group creditor insurance products (including, mortgage insurance products). From the 1st of April, 2009, the former AIG Life of Canada became BMO Life Assurance Company and adopted the BMO Insurance brand for all of its marketing, broker and customer communications. It is now operating within BMO's wealth management division, the Private Client Group. Canada Life, a subsidiary of The Great-West Life Assurance Company, offers its customers a variety of insurance and investment products for both groups and individuals. One of Canada Life's most interesting products is Participating Life, insurance which combines life insurance protection with a tax-advantaged investment component; as long as premiums are paid it guarantees a high level of protection throughout one's whole life. Canadian Tire Financial Services is the financial services arm of Canadian Tire Corporation, Ltd.,one of Canada's 35 largest publicly traded companies. CTFS offers range of variety of insurance products to around six million customers. Their business philosophy is keeping "Customers for Life". The Co-operators was founded by a group of Canadian farmers in 1945. Since then, it has grown to become Canada's leading multi-product insurance company with the cooperation of ten like-minded organizations. They are a community-based organization with an emphasis on personal care and keeping in touch with clients. Canadian Premier Life Insurance Company and Legacy General Insurance Company offer you a wide range of innovative products to help you find coverage options that best suit you and your loved ones' needs. We can offer you group life, accident, sickness and credit insurance solutions. One of the largest health service companies and health care insurance providers in the US market, Cigna also operates internationally in 30 countries, and has more than 70 million customer relationships worldwide. Headquartered in Bloomfield, Connecticut, Cigna serves its customers with more than 30,000 dedicated employees. The CUMIS Group Limited (CUMIS) partners with credit unions to deliver competitive insurance and financial solutions. In doing so, it creates financial security and promotes the growth and success of the credit union system in Canada. Desjardins Insurance is ranked first among life and health insurance companies in Quebec and fourth in Canada, supporting more than five million members. Empire Life Insurance Company is one of the top ten life insurance companies in Canada, with a commitment to provide its customers with all their financial security and wealth management needs. Whether you are a career starter, getting married, having children, building up your business, employed or ready to retire, Empire Life offers the most suitable insurance and financial planning throughout one's life. As one of Canada's top 15 life insurers, Equitable Life Insurance Company of Canada is one of the largest independent mutual and life insurance companies in Canada. For over 80 years it has provided its customers with not only financial protection but long-term ongoing stability and effective relationships. FaithLife Financial is a Christian-based, member-owned financial services organization that provides life insurance, income protection and investment products for Canadian Christians. They're a not-for-profit organization, so a portion of their earnings get reinvested in the lives of their members (clients), those members congregations and the charitable causes that they care about. First Canadian Insurance Corporation is a national, privately chartered Life Insurance Company that has been offering Life and Disability insurance coverage on consumer loans through automotive dealership financial service offices since September of 1988. Since that time the First Canadian Group of Companies has been marketing its Insurance, Mechanical Breakdown Protection, and Protection Product programs through automotive, RV, and marine dealers across Canada with tremendous success. On January 23, 2012, Unity Life of Canada, officially changed its name to Foresters Life Insurance Company. Unity Life of Canada was formed in 2002 when Toronto Mutual Life and Western Life Assurance merged. The Great-West Life Assurance Company is recognized as a leading financial services provider. It is through financial contributions and volunteer work of the staff and advisers that the company builds strong communities like their Key to Giving program, which provides financial support to health-based, non-profit organizations. Since 1967, Gerber Life Insurance Company has provided quality life insurance, especially for young families on a limited budget. As a financially separate affiliate of the Gerber Products Company, "the baby food people," the two companies share a common goal: to help parents raise happy, healthy children. Green Shield Canada's mission is based on their deep roots of social responsibility and charitable giving. Fundamental to the uniqueness is their philosophy of striving to make health care accessible to all Canadians. Green Shield innovates to respond to customers with passion and commitment and, they continually reinforce their core strategy to keep focused on investing in society and their people. Established in 1997, Hunter McCorquodale's core mission is to develop, distribute and underwrite special risk life, accident and health products to provide solutions for client needs that cannot be fully satisfied in the regular market. Industrial Alliance Insurance and Financial Services Inc. is among the 100 largest companies in Canada, and is listed on the Toronto Stock Exchange (AIG). The company was founded in 1892, and has a long history of providing insurance products and financial services. La Capitale is a 70-year-old province of Quebec based life insurer who is expanding Canada-wide now on the basis of their solid track record in Quebec. Manulife Financial's disability insurance lineup has five products. Their Proguard Series is geared toward professionals. This is their flagship policy, and includes many built-in features. The plan has elimination periods from 30 days to 2 years. Benefit periods range from 2 years, 5 years and to age 65. The insured's benefit can range from $200 to $24,500 a month. Manitoba Blue Cross is proud to offer a wide range of products for individual customers and group clients in Manitoba. For the occasional or frequent traveler, its individual travel health products protect against the financial burden associated with unexpected accidents or illnesses outside the province. Primerica Canada, offers debt eliminating and insurance solutions to individuals and families across the U.S., Canada, Puerto Rico and Spain. It has about six million customers and more than 100,000 representatives worldwide. Pacific Blue Cross has been British Columbia's leading benefits provider for over 70 years. Our comprehensive understanding of health care fuels our commitment to service. Together with BC Life, our subsidiary, we provide health, dental, life, disability and travel coverage for approximately 1.5 million British Columbians through employee group plans and through individual plans for those who do not have coverage with their employer. RBC Insurance, through its operating entities, including RBC Life Insurance Company, provides a wide range of life, health, travel, home auto and reinsurance products as well as creditor insurance services to more than five million North American clients. Reinsurance Group of America, Incorporated (NYSE: RGA) is a leader in the global life reinsurance industry with approximately $2.9 trillion of life reinsurance in force and assets of $40.2 billion. We are one of the largest life reinsurance companies in the world. Saskatchewan Blue Cross was founded in 1946 by Saskatchewan people for Saskatchewan people. Recognized since 2002 as one of the Top 100 Companies in Saskatchewan, we are committed to serving the needs of Saskatchewan residents. ScotiaLife Financial is a subsidiary of Scotia Bank specializing in insurance products. ScotiaLife is the outlet for Scotia Life Insurance Company, the underwriter of ScotiaLife's policies. SSQ Financial Group has been providing quality service to its clients for over 60 years. By offering a wide choice of insurance and investment products, SSQ continues to protect the present and insure the future of over a million Canadians. Sun Life Financial is a leading insurance and financial services company in Canada, and has been operating in the Canadian market since 1865. In 2002 it merged with Clarica, thus becoming one of the top insurance and financial management companies in Canada, claiming that one in every five Canadians has business relations with them. There's a lot to learn when you're getting started with insurance...and there's still a lot to learn when you've had insurance for years! State Farm® wants you to feel confident that you are making accurate and informed choices. This information should help you get started. Transamerica Life Canada is the Canadian subsidiary of AEGON N.V., a Netherlands-based insurance company, which is one of the largest insurance companies in the world. 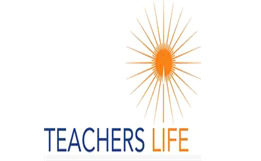 Teachers Life is a distinctive organization. We have a comprehensive knowledge of insurance products and services. At the same time, we have a detailed understanding of teachers and the world of education. This powerful combination makes us ideally suited to look after the financial security and income protection needs faced by the education community. TD Insurance provides services in two major domains: general insurances, which includes home and auto insurance, as well as life and health insurance. UL Mutual is a mutual insurance company serving Quebecers since 1889. The company has also been present in Ontario and New Brunswick since 2004. UL Mutual's financial condition is the envy of its rivals and its success is mainly thanks to its sound business management and a solid network of over 2000 independent financial security advisors. The Ontario Superior Court of Justice has ordered the winding-up of Union of Canada Life, finding that the company had insufficient capital to ensure long-term viability. The court has named Grant Thornton Limited as liquidator. More details can be obtained through Grant Thornton Union of Canada Update. Union of Canada Life Insurance, founded in 1863, is one of the oldest insurance companies in Canada. They offer life and accident insurance, mortgage and investment products; presently operating in the province of Ontario, Québec, New Brunswick and Prince-Edward Island. Since 1896, Wawanesa has insured people in their work and in their play. Wawanesa Life has been a proud member of the Wawanesa family since 1960. Wawanesa Life offers a full line of individual life insurance and annuity products, as well as group insurance products. Western Life is a subsidiary of Western Financial Group, making us part of the largest western-based insurance brokerage in western Canada. With over 100 life insurance companies in Canada, shopping for life insurance can be confusing. Who do you go with? Who can give you the cheapest life insurance? Who is reputable and well known? Thankfully, that's where Kanetix.ca can help. We've got some of Canada's top life and health insurance companies featured through the Kanetix.ca online quote comparison service. By entering your information just once, you can quickly and easily find cheap life insurance quotes that will fit your budget and your life insurance needs. If you are looking for life insurance quotes for policy values ranging from $50,000 all the way up to $2 million then you can get quotes for Term 10 life insurance, (a 10-year policy), Term 20 life insurance (a 20-year policy), Term 30 life insurance (a 30-year policy) or Term to 100 life insurance (which provides you with life insurance coverage until you hit the ripe old age of 100 - essentially a type of permanent life insurance only without the cash value components). Through Kanetix.ca's life insurance quote comparison service you can get quotes from some of the above leading life insurance companies in your city - whether it's in Vancouver, Edmonton, Calgary, Toronto, Ottawa, or Halifax.